Senator and presidential candidate Bernie Sanders aims to make an overall more educated workforce in America with his College for All Act. Without his plan, Sanders believes America will only continue to fall further behind the world economy. Sanders’ solution to the U.S. falling behind is by making all public colleges and universities free of tuition so that all people, not just the wealthy, can easily obtain a higher education. Another part of Sanders’ plan helps student debt holders by lowering the interest rates. Sanders was quoted as saying, “It is a national disgrace that hundreds of thousands of young Americans today do not go to college, not because they are unqualified, but because they cannot afford it,”. Bernie Sanders has voiced his distaste in the wealth distribution of America in the past and has built his plan based on this belief. 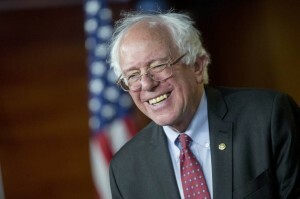 Bernie Sanders believes that the 1% that owns an enormous amount of the wealth in the country should be the funding source for his College For All Act. The plan encompasses a speculation fee on Wallstreet. Sanders’ plan will not only balance out the country’s economy and rebuild a healthy middle class, but it will ensure social class mobility for future generations. Bernie Sanders believes making higher education universally attainable will lead to a stronger and more sophisticated American workforce.